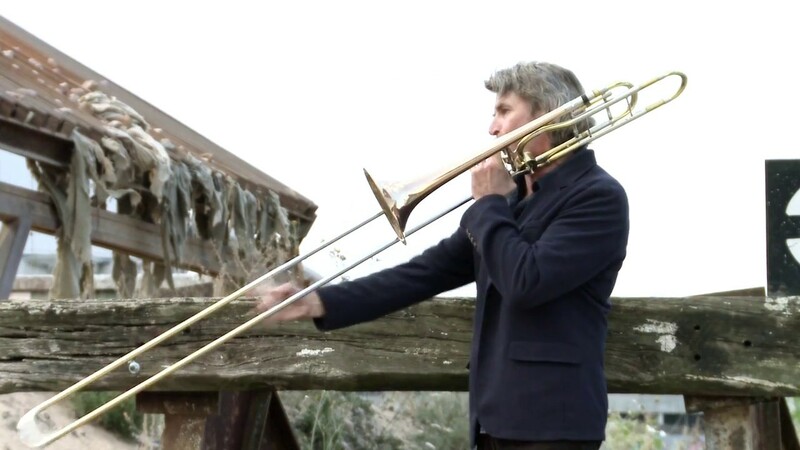 Uwe Dierksen, born in Hanover in 1959, studied trombone performance in Hanover, Hamburg and London before becoming a trombonist with the Ensemble Modern in 1983. Since then, he has collaborated with many internationally renowned musicians, composers and conductors. He has performed numerous pieces composed exclusively for him. He recorded more than 20 CDs, one-third of which feature him as soloist. Ensemble Modern Medien released his double portrait CD ›ROOR‹ in 2011. He has worked as a guest professor and lecturer at the Bremen Academy of the Arts and is a lecturer at the International Holiday Courses in Darmstadt and the International Ensemble and Composer’s Academy Impuls in Graz. As a soloist, Uwe Dierksen has performed in concert with the Arditti Quartet, the Bavarian Radio Symphony Orchestra, the Austrian Symphony Orchestra, the Frankfurt Opera and Museum Orchestra, the Saarland Radio Symphony Orchestra, with the Ensemble Modern at the Tokyo City Opera, the Dutch Radio Symphony Orchestra and the Lisbon Concert Orchestra (Portugal), the MDR Symphony Orchestra and the Scharoun Ensemble of the Berlin Philharmonic. Recently, he has been writing more and more music for films and documentaries. His audio play ›Irres Licht‹ was broadcast on SWR 2 in January 2014; his band compositions ›mavis-music‹ has been released by Intuition (Schott / Wergo) in 2014. His music for the silent movie ›Der Turm des Schweigens‹ by Johann Guter has been released by Arte in 2014.